As I reflect on the past 12 years of my non-profit technology career, and more specifically the last four years at Zuri Group, I am struck by the similarities found in both the Higher Education Advancement and Healthcare fundraising spaces: specifically, the question of how to balance the often competing needs of Advancement/Philanthropy and those of their partners in Central IT/ITS. Central IT is completely separate from the Advancement/Philanthropy departments and they are engaged on a per-project basis. The IT personnel assigned to the project often don’t understand the nuances of the fundraising world, nor do they have the the historical knowledge required to support their colleagues. Central IT is separate, but dedicated to the Advancement/Philanthropy departments. 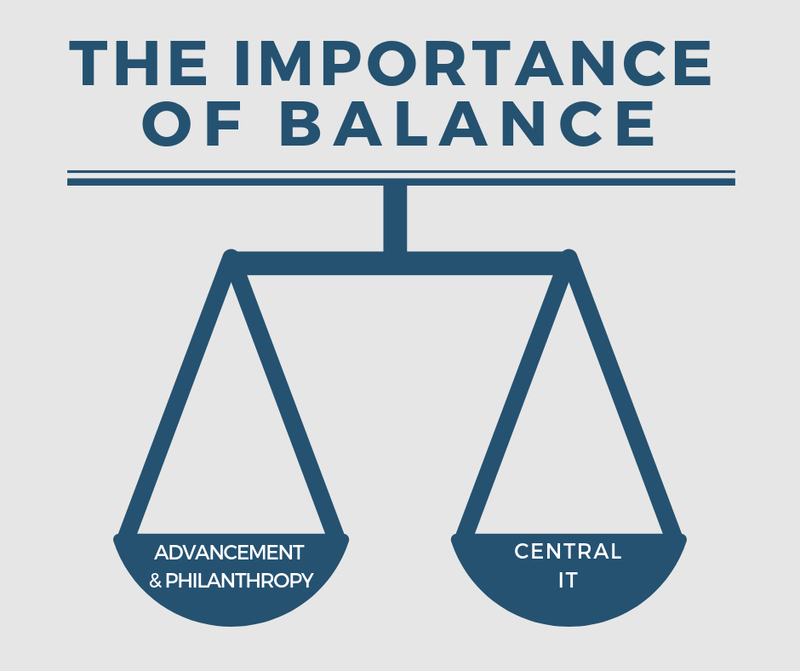 In this configuration, individuals are part of central IT; however, they have a dotted line to their colleagues in fundraising operations and their role is primarily, if not solely, focused on supporting the technology needs of the Advancement/Philanthropy department. Central IT manages the servers, network, helpdesk, etc. ; and the Advancement/Philanthropy department maintains staff to support the database of record, reporting, integration and custom application development needs of fundraising operations. Which arrangement is better? I’ve seen and experienced all these models and I strongly believe the second approach—a dedicated Central IT/ITS resource for fundraising—provides the greatest balance and has the highest degree of success for all parties involved. The technical resources are part of a larger central IT team that offers the support, training and leadership necessary from a professional development standpoint. They learn from other experts and avoid the pitfalls of becoming narrowly focused or siloed. The fundraising operations team has the flexibility to manage the direction, prioritization, and budget of their dedicated team members and tools. This builds a greater level of knowledge for the technology systems and business processes being supported and allows the groups to build trust and respect for all individuals and systems. While these models rarely change within a given organization, there is opportunity to change how people interact with their colleagues no matter which arrangement your institution resembles. 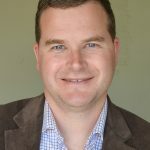 It is becoming more important with each passing year to recognize how technology growth and fundraising growth are connected. The ever-growing needs of technology can help meet the demands of nonprofits to remain agile when competing for fundraising dollars. As Advancement shops enter new academic, fundraising and conference seasons, be sure to look for opportunities to coordinate and collaborate with IT. With CASE, AASP Summit, BBCON, Dreamforce and other conferences on the near-term horizon, use these as opportunities to not only develop your Advancement/Philanthropy professionals, but also to introduce your IT team members to the exciting world of nonprofit fundraising! And, while you’re at it, have an honest discussion about which configuration you have between the two teams and which one you want.